Less Than Reality: Paul the Male Matchmaker: Did Any Of You Watch It? 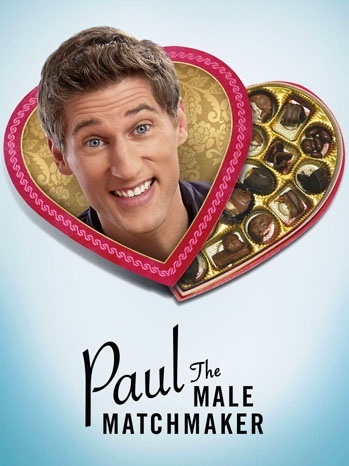 Paul the Male Matchmaker: Did Any Of You Watch It? I recently posted about Paul The Male Matchmaker, a show on Hulu.com. I had some time, so I watched some more episodes today. While I enjoyed the first bunch of episodes, I really loved the second set of episodes that I watched. I kicked off today's Paul The Male Matchmaker session with episode 6 - Know When You're Simply Too Old. Oh, my gosh. In this episode, instead of setting a forty year old woman up with a man, he sets her up with an orphaned child. Why? He says she's too old to have a baby or get a man, so she might as well adopt. It's wrong on so many levels, but it makes for a pretty awesome episode. I think my favorite part of the show is Paul's over-the-top personality in contrast to the underwhelmed attitudes of the other characters on the show. Paul does crazy things, like hide in a milk fridge and make really weird noises in a grocery store during episode 7, whereas the other characters look on with a mix of horror and confusion. I think episode 7 is my favorite episode - it's just so crazy that I want to keep watching it and see more details each time. It's interesting to see Paul's character and the show develop from episode to episode. By episode 8, you love to hate Paul, and you're addicted to the madness that he causes. You can almost imagine yourself in the situations of his daters, although I'm pretty sure most of us would have bugged out at Paul if he tried to match matches for us. Watch Paul The Male Matchmaker here, and take a look at episode one below. I have been hired by Warner Bros WBWord division to raise awareness for Paul the Male Matchmaker. Hoboken to Snooki: Stay Out Of Our City!